Spring in Chicago means flowers in bloom along Michigan Avenue, boats returning to the harbors, Northside and Southside baseball in full swing, and PR awards season – which kicked off last night with the Publicity Club of Chicago’s Golden Trumpet Awards. 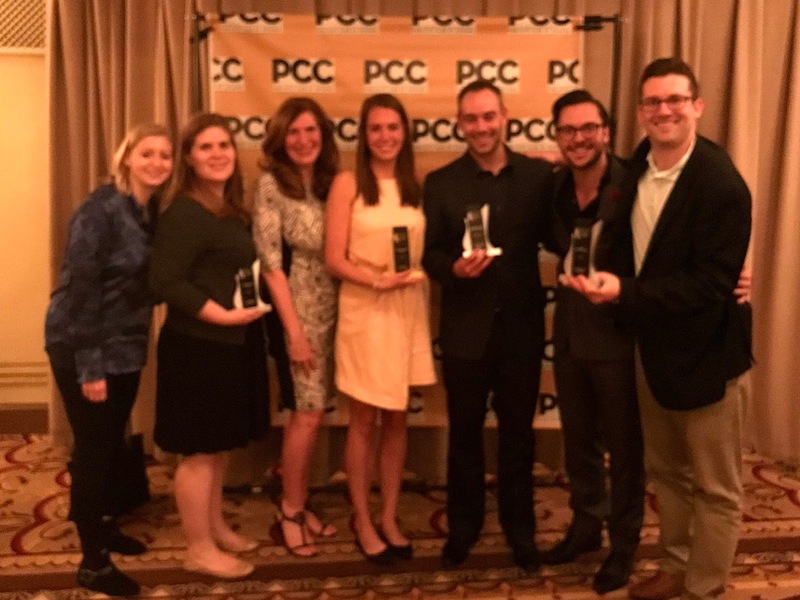 Members from throughout the Chicagoland PR community gathered at the historic Palmer House Hilton to honor the best of the best in public relations from the past year. It’s always one of my favorite events, and this year was no exception. I would like to thank PCC for dedicating a moment of silence during the ceremony to our dear founder, Lou Williams, who passed away in December. It was a special and meaningful moment for our team and for the many people in the room who had the privilege to know and work with Lou. This campaign effectively leveraged social and digital marketing tactics to help dispel the myths surrounding the quality of recycled paper and educate business professionals on why they should use a mix of recycled and non-recycled paper. Designed to educate teens and their parents about the importance of sleep, this advocacy-focused campaign combined teen-to-teen dialogue, media outreach targeting parents, educator tools and in-school conversations to drive awareness around four ways sleep can improve daily life: beauty, sports, learning and health. To drive awareness, credibility and sales leads for Ecore as a premier provider of commercial flooring, LCWA garnered high-profile media coverage for the brand in key industry outlets. Consistent and strategic outreach over the course of the year resulted in an average of three media placements per week for the brand and a 750% YOY increase in impressions. In conjunction with National Fire Prevention Month, our First Alert team executed a robust campaign to raise awareness about the importance of practicing fire safety and installing/maintaining working smoke alarms. Key safety and product messages were conveyed through a combination of engaging campaign graphics and videos, targeted media outreach, influencer partnerships, social and digital advertising and community outreach. As always, we appreciate this recognition from our peers, and congratulate all of the PCC Golden Trumpet Award winners! Be sure to visit our blog next week for more details about each of our award-winning campaigns.